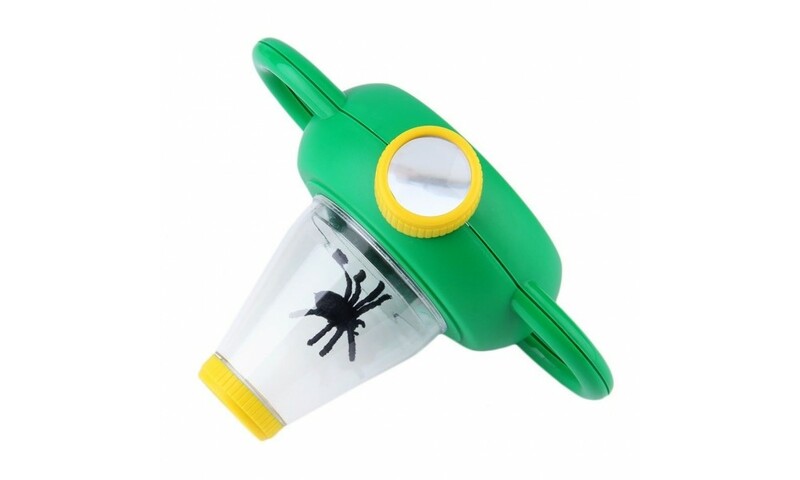 The Two-Way Bug Viewer is a wonderful tool to help little ones explore the insect world. 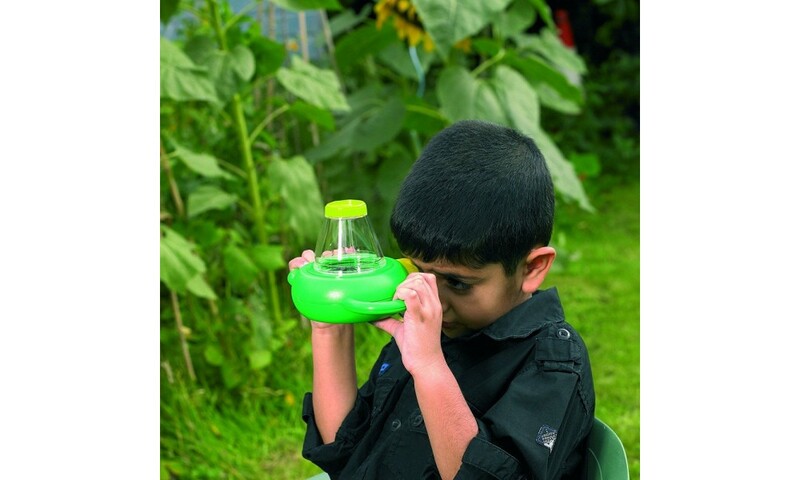 Uncover the hidden wonders of the tiny! 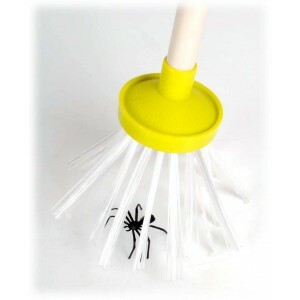 Mini objects, bugs and insects from two angles! 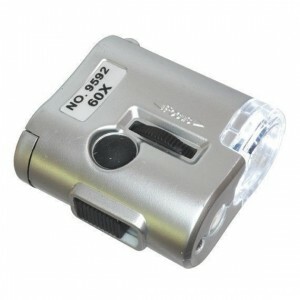 With the clever and robust two way viewer no detail will go unnoticed. 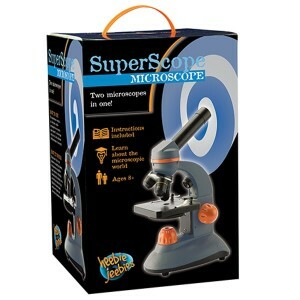 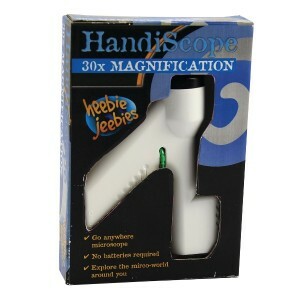 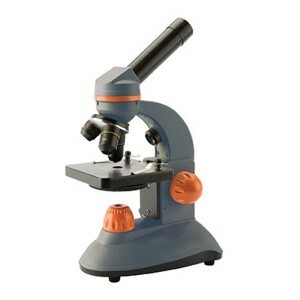 Just pop your bug, insect or mini reptile in the viewer and marvel at its appearance magnified from above and below. 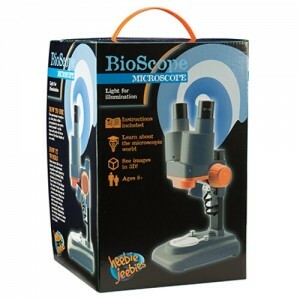 The top and bottom magnifying lens not only offers two viewing angles, but allows two curious kids to view the same specimen at once. 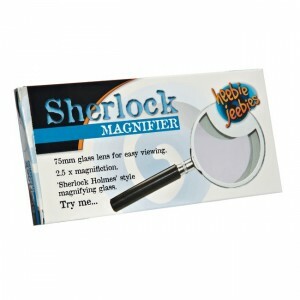 That's right, no more squabbling over who gets to look at the bug first! 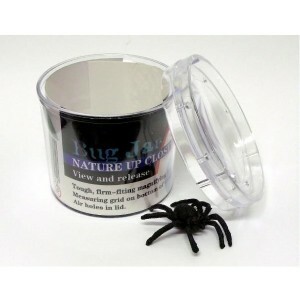 View marvelous nature, and then return it! 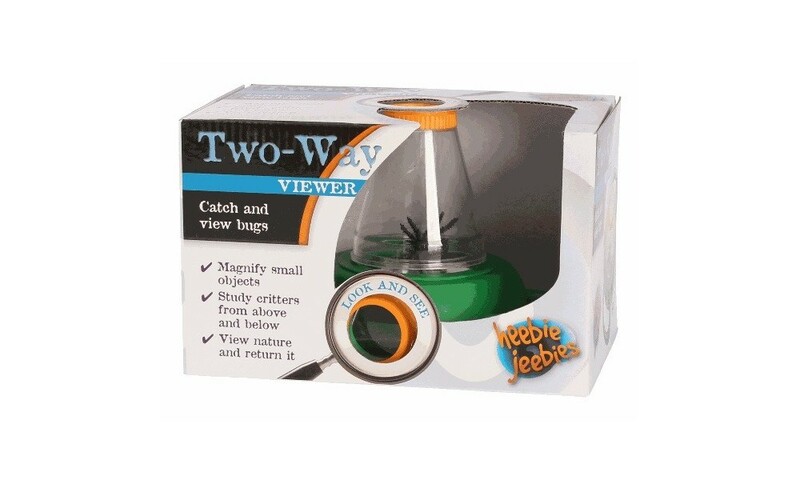 Includes - Quality Two Way Bug Viewer. 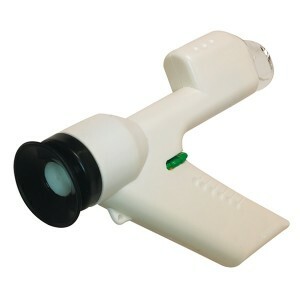 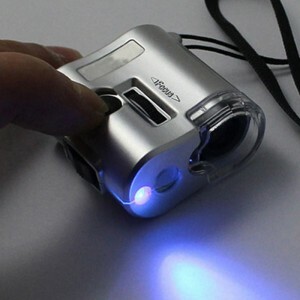 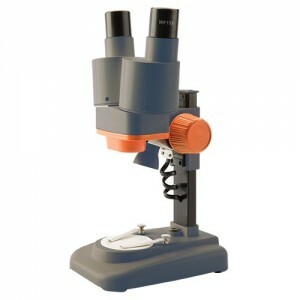 The viewer is equipped with a 6x magnification lens at the top and a 4x magnification lens at the bottom. 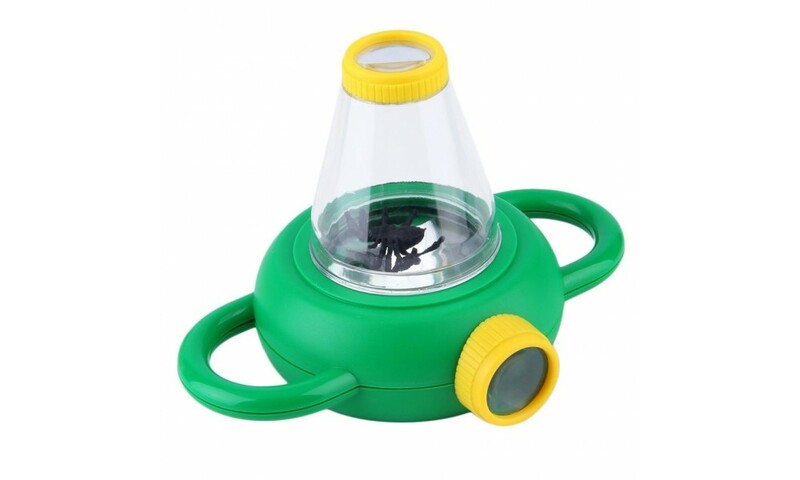 The sample container is ventilated and suited for all kinds of delightful small animals and objects. 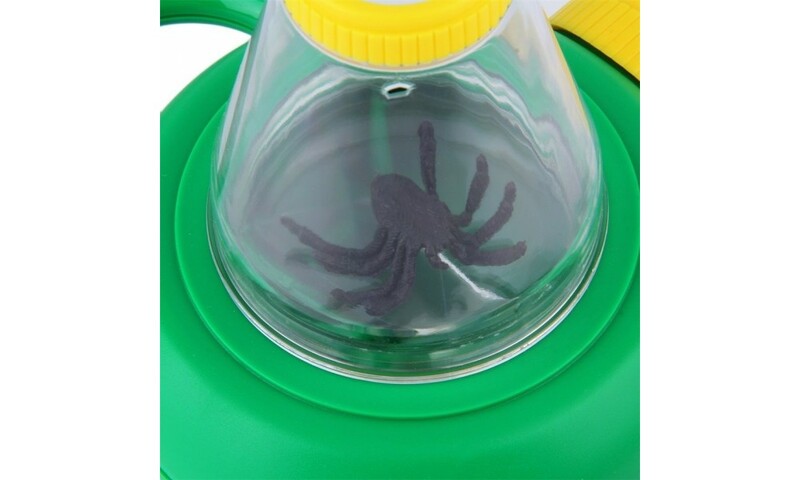 Note: rubber spider is included.